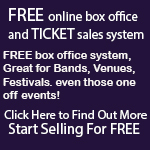 Norfolk and Norwich Special Events - Norfolk Gigs - Norfolk Gig Guide - Norwich Gigs. Page 1. Swing, Blues, Country, Funk - lots! Norwich's super cool festival of pork on 25th July 2015. Free food festival with fantastic food, brilliant beer and top tunes.